With Readly you can read The Power of Happiness and thousands of other magazines on your tablet and smartphone. Get access to all with just one subscription. New releases and back issues – all included. Want to discover some practical ways to enjoy life more and feel happier this summer? Pick up a copy of our latest mindfulness magazine, The Power of Happiness. 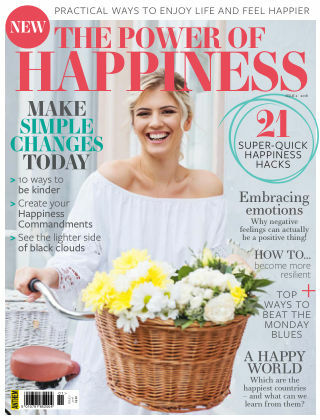 Inside this issue you’ll find out everything you need to know about increasing your happiness and embracing life by just making tiny changes, such as how to beat the Monday blues, turning negative emotions into a positive thing, and discovering 10 ways to be kinder. Plus we share 21 super-quick happiness hacks and reveal how to tell how happy you really are with your life right now. Pick up a copy and start making some positive changes today!